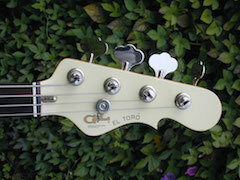 This is "The Others" forum and is for discussion of non-G&L basses. The rules to use here are common sense and the Golden Rule. Please treat people with respect and in a manner that you would like to be treated. If there is a post that you don't agree with, you are welcome to disagree with the post but you are not welcome to attack the post's author. Keep the language to a PG-13 rating and we should be good to go.